Don't worry if you have never heard of this little Gem hiding in Fitzgibbon. I had not either until my son was invited to a party there. 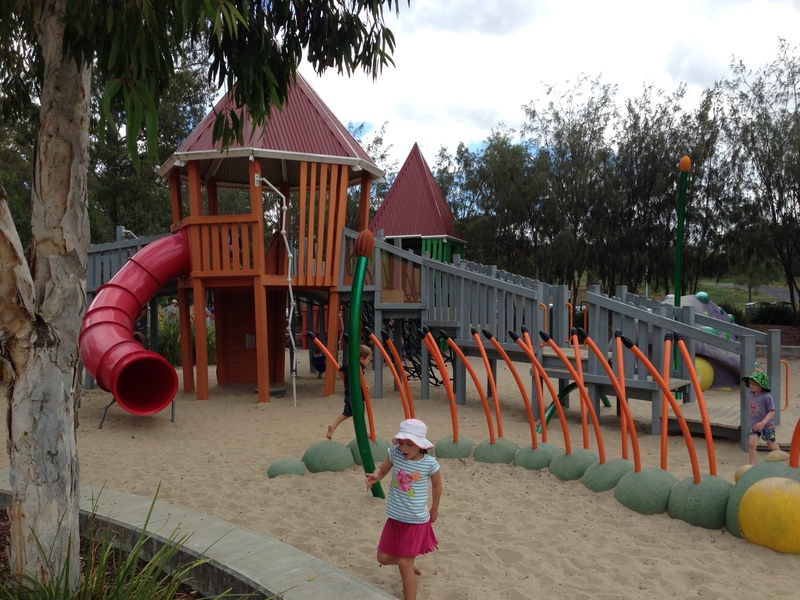 It's Big, it's vibrant and along with the standard swings n things it also has some huge sandworms for the kids to crawl over and a series of forts with bridges to explore. It's a very easy step with a group of kids, especially boys, to decide the sand is Lava and the worms are monsters that need taming and capturing, which can keep them busy for hours. My daughter just loved running along the worm and jumping off its head, and my wife and I loved that it was well built and felt safe and secure for our kids. The park itself is quite large so there is also the option to go for a stroll along a series of walkways, play ballgames with plenty of room or set up a picnic on the grass. The play equipment is supported by great infrastructure with enough parking along the street for several kids' parties, covered shelters with a couple of BBQ's that were not used by us but looked to be in great condition, and the required toilets. The park is also very well maintained with clean sand (very important) and clean and well-tended amenities and grounds. Even on a Sunny Saturday it was not overcrowded, but I can't be sure if we were lucky or if the park is just like that. 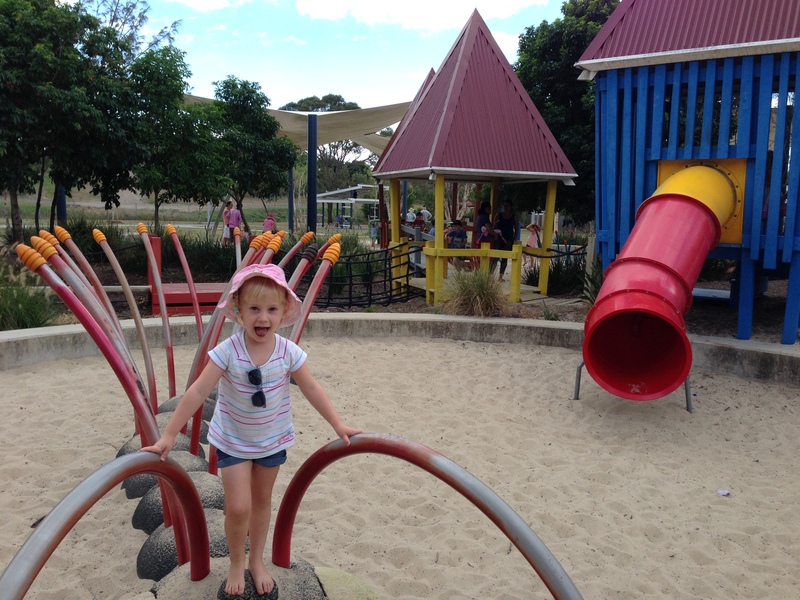 Overall the kids and the parents had a great time in a safe and secure, yet very fun and engaging park. Definitely worth the drive. 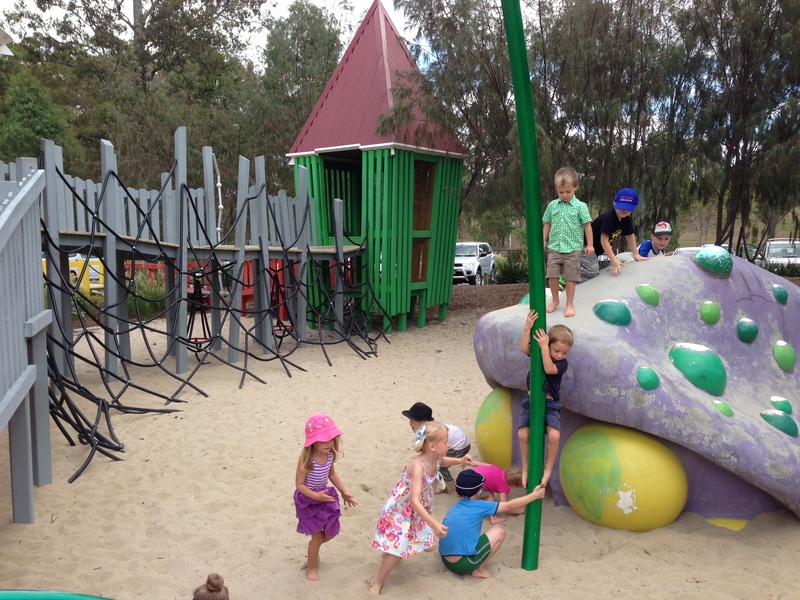 Why weren't playgrounds this awesome when I was a kid? !